Asthma can be a special concern when it affects children. Asthma can be a very scary experience for parents and children alike. Asthma means the linings of your child’s airways become swollen and coated with mucus. It also causes airway muscles to tighten. This all combines to restrict or even obstruct breathing. 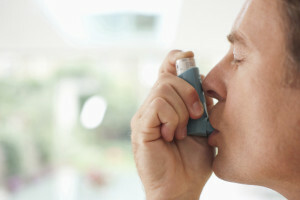 Expelling breath can be extremely difficult when you have asthma. Children may cough and wheeze. They may feel tightness in their chest. Their heart rate may start to race. They may sweat. They may feel they cannot get a good breath. Risk factors include smoking in the home, and pets. Babies born prematurely have a greater chance of developing asthma. Evidence suggests young babies who are constantly in contact with high levels of dust and dust mites may be prone to asthma. When it comes to diagnosing asthma, children pose a difficult challenge. Infants are prone to colds and other respiratory illnesses. This is especially true during the fall, winter and early spring. This is usually evident by a cough, runny nose or fever. Continued wheezing and coughing may be asthma. 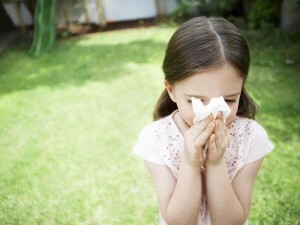 Children often will have asthma attacks triggered by a cold. If you suspect your infant or young child has asthma, you should see a doctor. Asthma is a sign of an obstructed airflow. Your doctor will perform a spirometry test, to measure the flow of air in the large and small airways. This will determine whether the child will respond to medication to address the inflammation that may be restricting your child’s breathing. Your doctor will give your child a physical, and may order allergy tests, pulmonary function tests, x-rays or blood tests. Your doctor will also want a detailed description of your child’s medical history. He’ll ask about the number of colds your child gets, and about the severity of symptoms. He will also want to know how long it takes your child to recover from illnesses. He may want to know if your child exhibits symptoms like coughing and wheezing at other times. Your family’s history of allergies and asthma will also be important to your doctor as he makes his diagnosis. Signs of eczema, swelling and other skin conditions will be examined. Your doctor will probably want you to keep a dairy of your child’s symptoms, taking note of other factors such as physical activity, surroundings, temperature and time of year. Signs of asthma for infants may include rapid breathing and irritability. A baby who refuses to lie down or stops eating or nursing may have asthma. 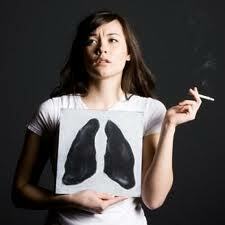 Pale or bluish skin is another sign of asthma. You can also look at the muscles around the neck when the baby is breathing. If the skin looks like it is being tugged in, you need to call a doctor. In severe cases, your baby may be breathless, listless, exhausted. He or she may be unable to talk or walk. Your doctor will also likely recommend asthma medication. This is usually in the form of two puffers. Your child will get an asthma inhaler with controller medication to treat inflamed airways. This is a small dose of steroids. Your child will need to breathe the medication into the lungs twice daily to prevent attacks. Your child may also be prescribed reliever medication in a puffer. This is used in the case of an asthma attack. It relaxes muscles around constricted airways. It works immediately and should be carried by the child at all times.